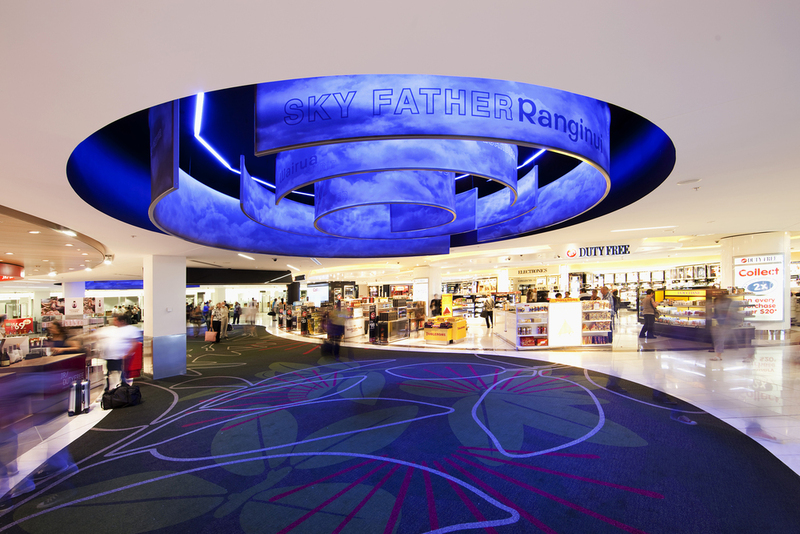 THE REDESIGN OF AUCKLAND INTERNATIONAL AIRPORT’S DEPARTURES TERMINAL DELIVERED A BETTER EXPERIENCE FOR PASSENGERS AND HEALTHY REVENUE GROWTH FOR RETAILERS. With space at a premium in the existing airside departure terminal, and passenger flows expected to increase, Ignite was engaged by Auckland International Airport to redesign the space. The client’s brief was two-fold. First, the design had to comfortably accommodate passengers moving between Customs and departure lounges. Equally importantly, the upgrade needed to provide a high quality retail offering that would support future revenue growth for on-site retailers. Ignite played two distinct roles on this project. Initially the team acted as client representative during the design phase. As part of this process, the design team worked with the Airport to refine its brand identity, create a compelling design vision and develop retail guidelines for the space. Once the design phase was complete, a separate documentation and delivery team was created for the implementation of the project. 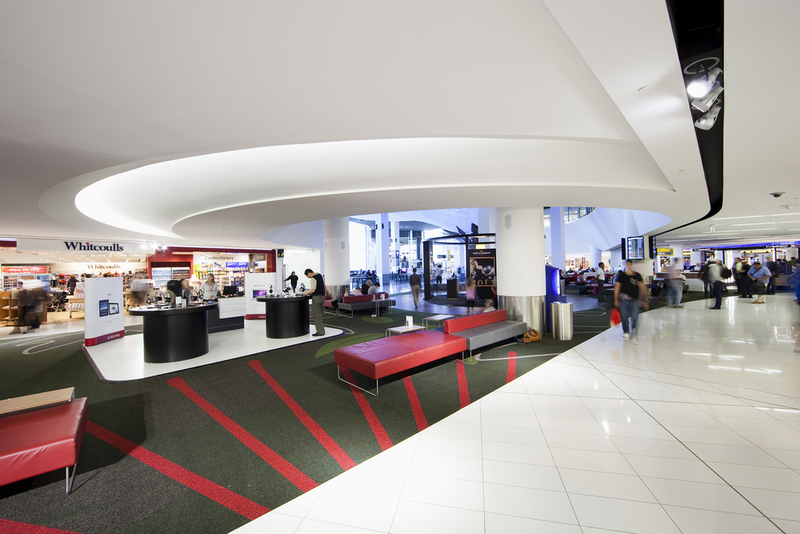 The design brief required practical, efficient and cost-effective solutions to increase retail potential and ensure flexibility for the future, while also providing world-class facilities that reflect New Zealand’s unique character. These multiple objectives required an innovative design solution, which could be constructed while full airport operations were continuously maintained. To maximise the airside shopping area, the design borrowed from the existing landside retail area. The new layout is easy to reconfigure, giving the client flexibility in adapting the space to meet future needs. The design team recognised that passengers making their way to departing flights are often too early, or in a rush. The new retail layout welcomes those passengers with time to spare, providing comfortable waiting areas that are just a few steps from high quality food and beverage outlets, as well as duty-free shops. For those wanting to reach the boarding gates quickly, passenger flows have been simplified with clear and obvious pathways that are signposted using easy-to-understand signage. With two major duty-free retailers operating on the site, the design needed to provide easy access to shops and encourage passengers to linger in the area in order to increase retail spend. The curvilinear plan form of the central pathway was shaped by the primary passenger circulation routes and surrounding retail tenancies. As a result, passengers’ exposure to retail frontages is optimised. New Zealand’s natural and cultural heritage is showcased at every opportunity. At the heart of the retail space is a nine metre high sculptural tree ‘Pou Manawa’, which provides a central meeting place and was designed to represent the quintessential kiwi experience of relaxing under a Pohutukawa tree. This central space also created an opportunity to re-establish visual links from the airside retail area to the external environmental via an existing glazed wall, which was previously blocked by retail tenancies. The 24-hour operational nature of the airport meant the team needed an innovative approach to achieve an efficient, cost effective design solution which could be constructed while maintaining ‘business as usual’ airport operations. One of the key challenges with the design and installation of the Pou Manawa sculpture was working within the site constraints of the existing building. With this in mind, tensioned fabric was chosen to form the ‘tree canopy’, in order to minimise installation time. Ignite’s extensive experience in retail design, coupled with a thorough understanding of airport environments resulted in the successful creation of a spectacular and newly energised retail area which delivered double-digit growth in retail turnover and consequent rental growth. — Richard Llewellyn, Corporate Relations Manager - Auckland Airport.